So, we don’t talk a lot about Star Wars around here. I’m not sure why we don’t? My girls fell in love with the movies over the last Christmas holiday. It is really hard not to fall in love with the story and the characters. One character that stood out for my girls was Yoda – wise Yoda. So, when my youngest daughter wanted to create a Yoda Valentine I jumped at the idea. 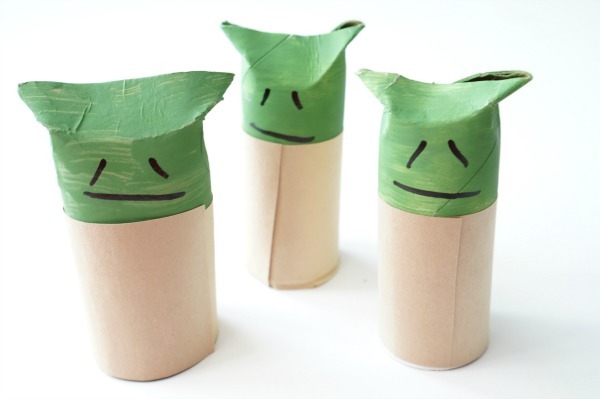 We discovered that is was easy to make a toilet paper roll Yoda and we found a way to slip a secret note inside – making this Yoda perfect for every day of the year. 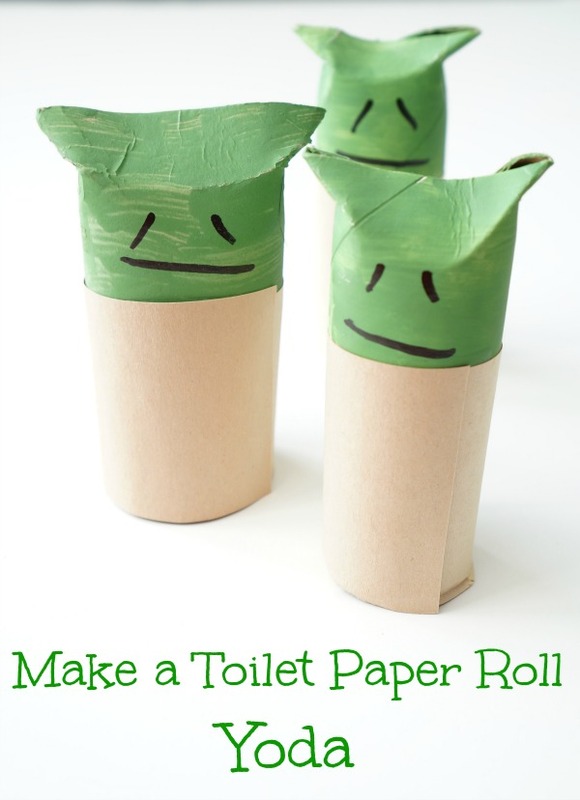 The first step is to paint the top half of the toilet paper roll Yoda green – a slightly brownish green. Set Yoda aside to dry. While the green paint is drying, cut out strips of brown construction paper that will wrap around Yoda’s body – this will be his robe. 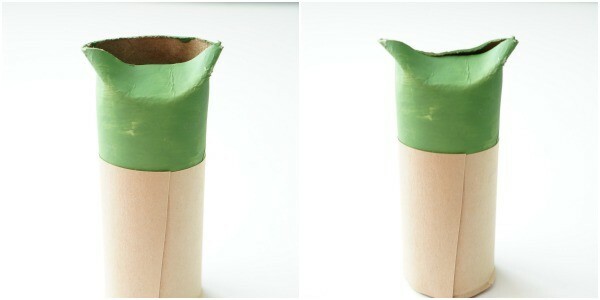 For our toilet paper roll the strips were 2 1/2 ” x 5″…judge yours according to the size of your cardboard roll. 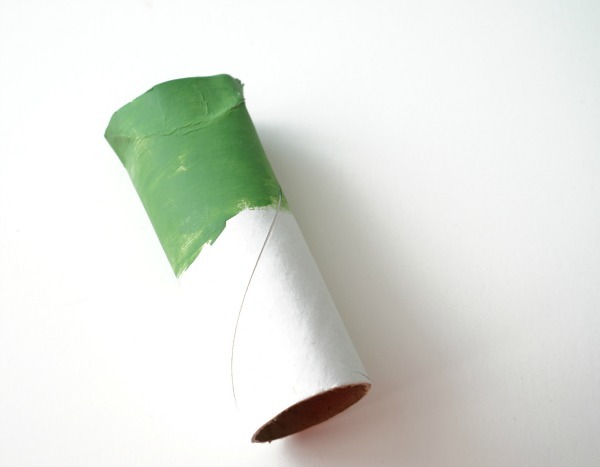 When Yoda’s paint has dried, wrap the paper around the body and glue it in place with white glue. 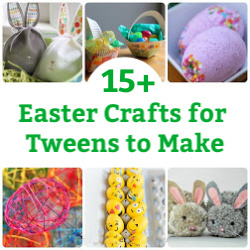 Now it’s time to make Yoda’s head. 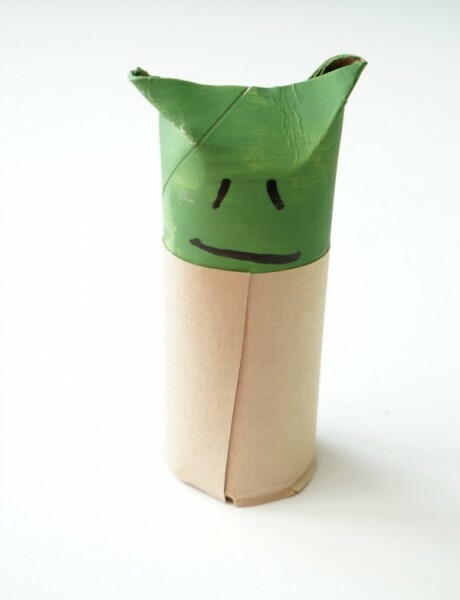 Press the two sides of the top of the toilet paper roll together, they will overlap. 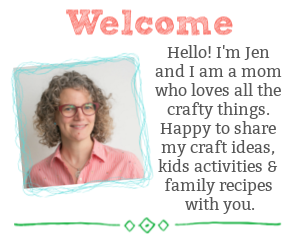 Press them together and as you press them down the two points on the side will form. Press the points down as well – creating Yoda’s floppy ears. Squish and press Yoda’s head as you like. 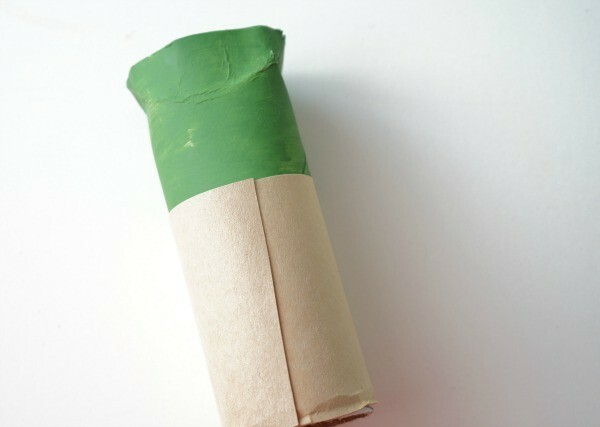 If the paper roll splits at all, just touch up with a little green paint. 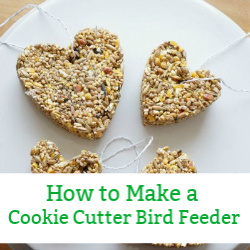 This sounds more complicated then it actually is – go for it – use the force! Draw on Yoda’s face with a black marker – my daughter decided to go with a simple contemplative looking Yoda.